The Paleontological Institute occasionally publishes books as part of the Paleontological Institute Special Publications series. or by downloading an order form. Special Publication 15: Daniel F. Merriam. 2014. The University of Kansas WWII Veterans, v + 45 p., 74 fig., softcover. Special Publication 14: Daniel F. Merriam. 2014. 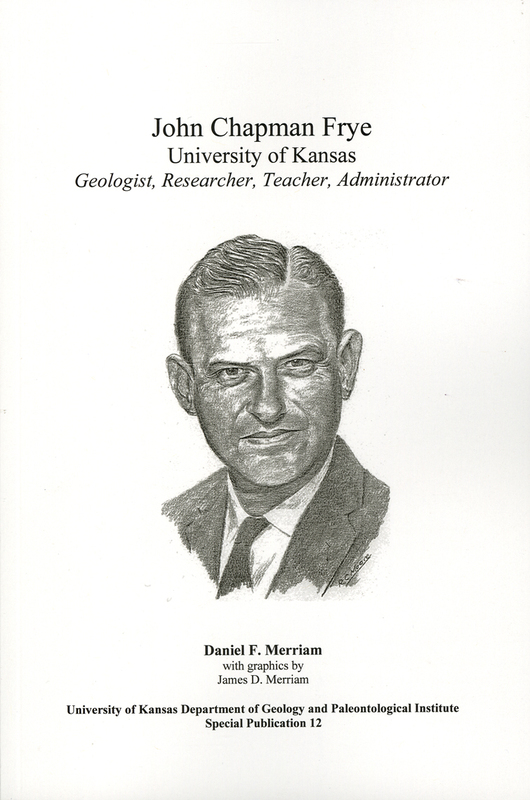 William Weldon Hambleton, University of Kansas Geologist: Administrator, Teacher, Researcher, v + 70 p., 36 fig., softcover. Special Publication 13: Daniel F. Merriam. 2014. 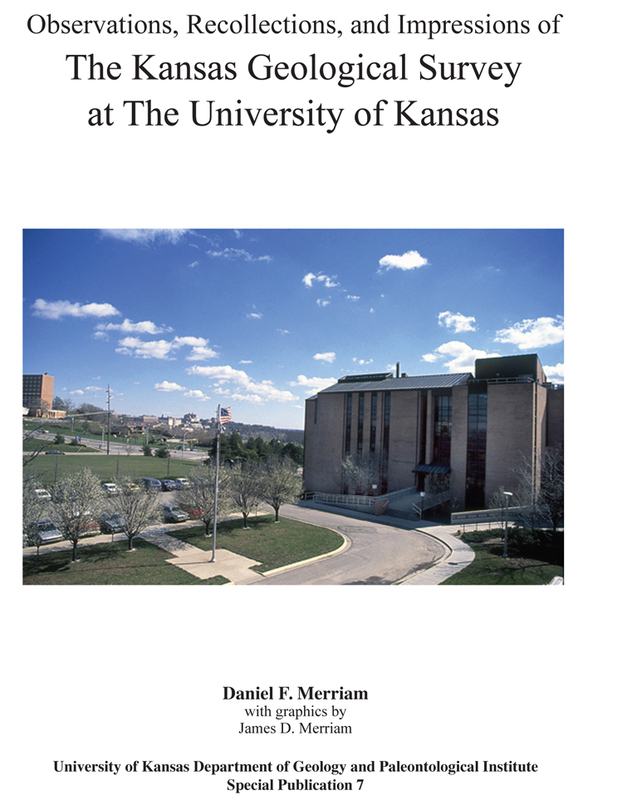 University of Kansas Founders of and Contributors to Kansas Geology, vi + 183 p., softcover. Special Publication 12: Daniel F. Merriam. 2014. John Chapman Frye, University of Kansas: Geologist, Researcher, Teacher, Administrator, viii + 59 p., 27 fig., softcover. Special Publication 11: Daniel F. Merriam. 2013. 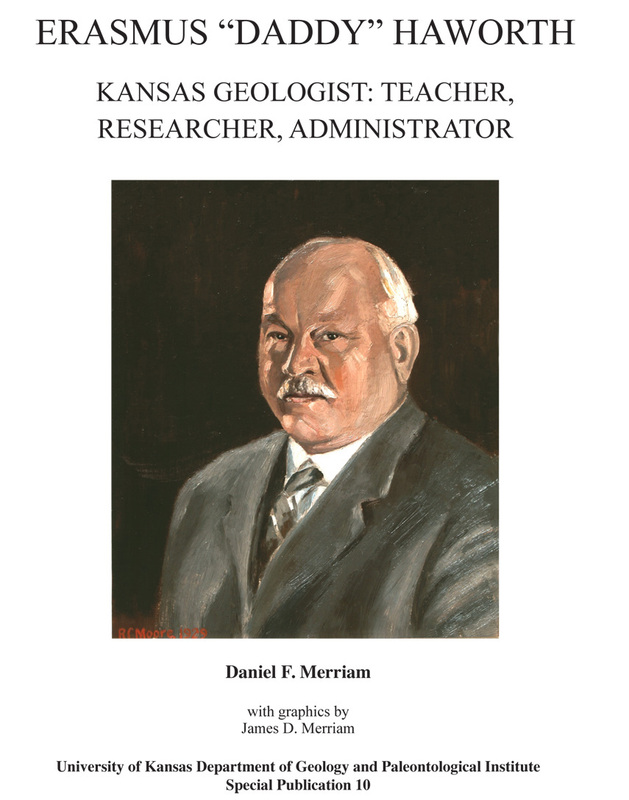 Contributions to the Geology of Kansas: With Emphasis on 1866–1966, ix + 163 p., 63 fig., softcover. Special Publication 10: Daniel F. Merriam. 2013. Erasmus “Daddy” Haworth, Kansas Geologist: Teacher, Researcher, Administrator, vii + 82 p., 45 fig., softcover. Special Publication 9: Daniel F. Merriam. 2012. 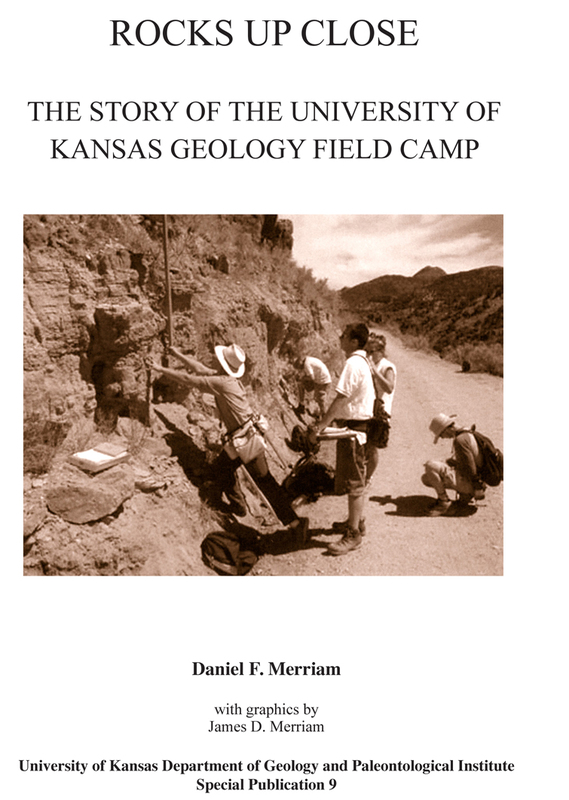 Rocks Up Close: The Story of the University of Kansas Geology Field Camp, xii + 124 p., 72 fig., softcover. Special Publication 8: Richard J. Gentile. 2015. Rocks and Fossils of the Central United States, with Special Emphasis on the Greater Kansas City Area, 2nd edition, vi + 212 p., 439 fig., softcover. Special Publication 7: Daniel F. Merriam. 2011. 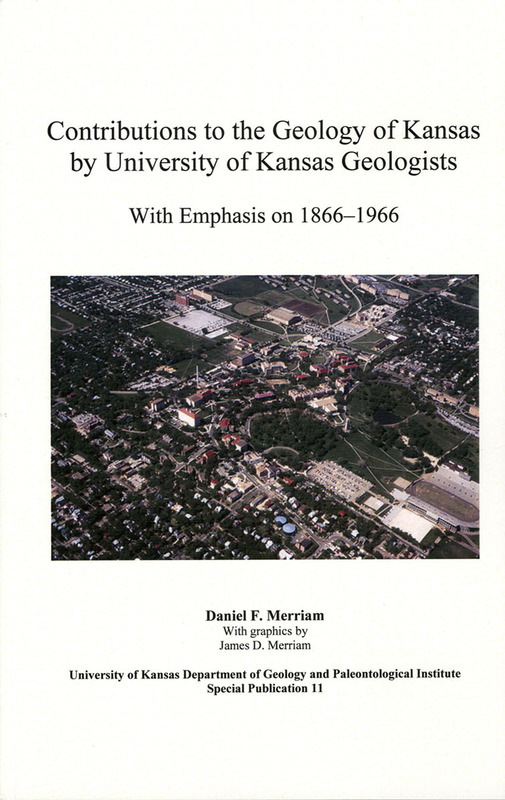 Observations, Recollections, and Impressions of the Kansas Geological Survey at the University of Kansas, xiv + 284 p., 121 fig., 52 tables, references, appendices, softcover. Special Publication 6: Daniel F. Merriam. 2009. 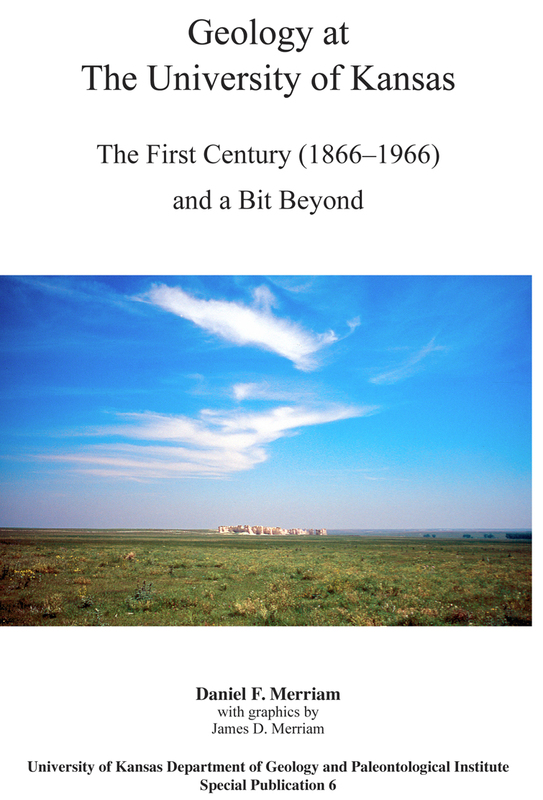 Geology at the University of Kansas: The First Century (1866-1966) and a Bit Beyond, xiv + 211 p., 96 fig., references, appendices, softcover. Special Publication 5: Daniel F. Merriam. 2007. Raymond Cecil Moore: Legendary Scholar and Scientist; World-Class Geologist and Paleontologist, vii + 170 p., 74 fig., 7 appendices, indexed, softcover. Special Publications 4: Bernhard Kummel and Curt Teichert, editors. 1970. Stratigraphic Boundary Problems: Permian and Triasic of West Pakistan, 474 p., with illustrations, figures, maps and index. Special Publications 3: Wakefield Dort, Jr., and J. Knox Jones, Jr., eds. 1970. Pleistocene and Recent environments of the Central Great Plains, 433 p. illus., maps. 27 cm. Special Publications 2: Curt Teichert and Ellis L. Yochelson, editors. 1967. Essays in Paleontology and Stratigraphy: R. C. Moore Commemorative Volume, 626 p., with author index, systematic index, and subject index. 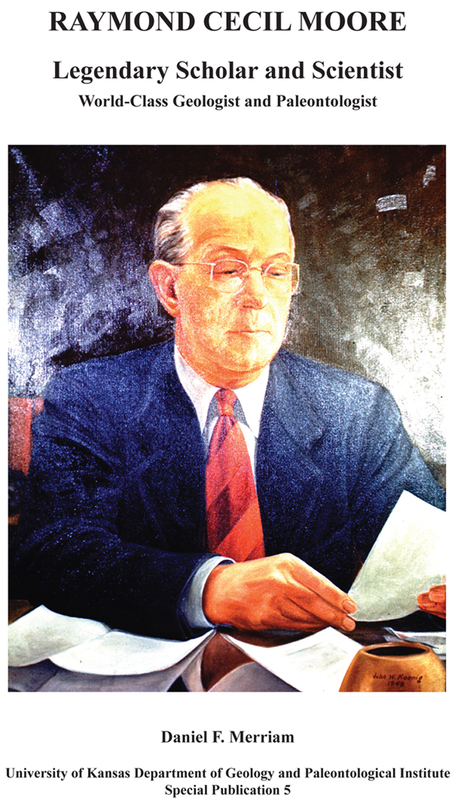 Special Publications 1: Horatio J. Harrington and Armando F. Leanza. 1957. Ordovician trilobites of Argentina, 276 p. illus., maps. 26 cm.